Bermuda Ridge at Woods Edge is a low rise condominium complex just west of US 41 in Bonita Springs, Florida. Bermuda Ridge condos offer two to three bedroom floor plans. Condominium residences are either on the first floor or second floor. The buildings do not have elevators. Condos in Bermuda Ridge offer one car garages. Most units have views of preserve or wooded areas. Bermuda Ridge is comprised of sixty-eight condominium residences in seven buildings. The community offers a community swimming pool, cabana, on site mailboxes and bocci courts. One of the best amenities would be the fact that Bermuda Ridge is actually biking distance to Bonita Beach and Barefoot Beach. If you’re interested in a low maintenance lifestyle, minutes to beaches, a few few miles from Coconut Pointe Mall and about 20-25 minutes to the airport, Bermuda Ridge would be a great choice. 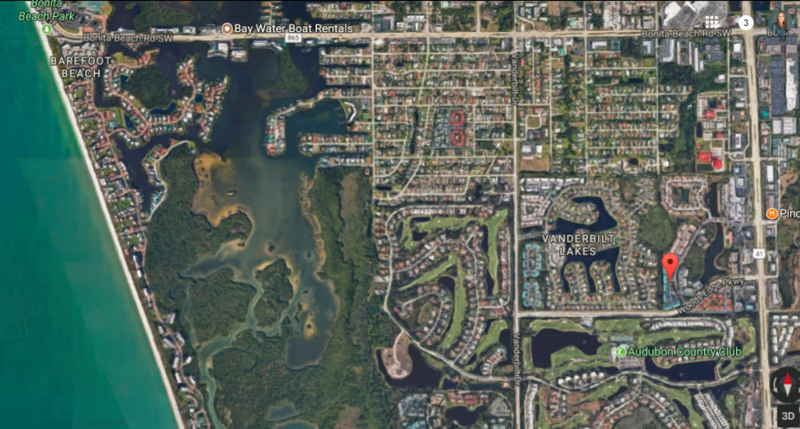 You will notice that there are several “Bermuda” condominium complexes around Bonita Springs, Bermuda Park, Bermuda Links, Bermuda Isles, Bermuda Point, Bermuda Cays, Bermuda Gardens, Bermuda Lago. Many of the “Bermuda” complex floor plans are similar if not identical. Just a bit of information if you’re searching for a particular floor plan, it may be available in another Bermuda Complex. If you’d like more information about Bermuda Ridge at Woods Edge, call or text Chris Griffith at 239-273-7430.